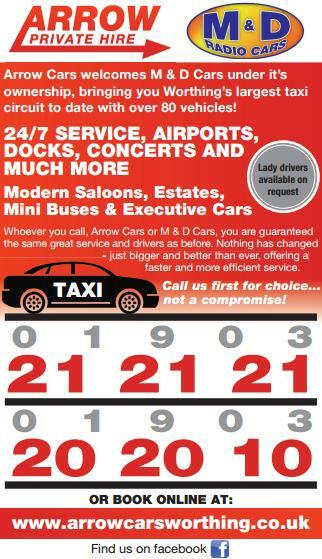 reliable cab, simply make a call to Arrow Private Hire. 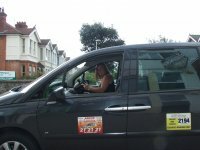 Established in 1987, we have built up an excellent reputation as one of the premier taxi companies in the region thanks to our dedicated service and professional approach to our work. 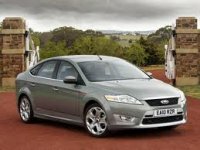 Arrow Private Hire are the main suppliers of taxis to a large number of Blue Chip companies in the region, as well as the NHS and West Sussex County Council, thus demonstrating how highly regarded we are within the area. We have a large number of vehicles on the road of varying types including minibuses, making us one of the most capable taxi companies in the region. All of our drivers are fully licensed and CRB checked for your complete peace of mind, as well as being fully insured. We always ensure that our taxis are with you within 10-15 minutes of your call, no matter what, and we can provide contract work upon request.